The Royal Newfoundland Constabulary officer who fatally shot Don Dunphy last Sunday has addressed the fatality in an email sent to all employees of the provincial police force. 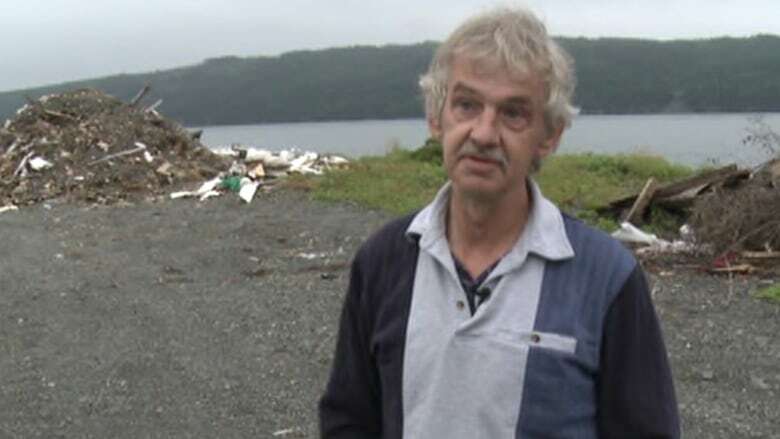 The Royal Newfoundland Constabulary officer who fatally shot Don Dunphy in Mitchells Brook last Sunday has written an email to all employees of the provincial police force, expressing no regret but wishing some other kind of earlier intervention had been possible. The email shows the officer's feelings in the aftermath of a highly publicized — and even politicized — incident that saw a member of the premier's security detail shoot Dunphy in his home in Mitchells Brook, a small Avalon Peninsula community about 85 kilometres southwest of St. John's. "Although I cannot regret my actions last Sunday, I unequivocally wish I could have visited Mr. Dunphy at a point in his life where another level of intervention may have been possible," the officer wrote in the email, obtained by CBC News. The officer, whom CBC News is not naming, travelled to Dunphy's home after an employee in Premier Paul Davis's office alerted him to what was perceived to be a threat to the premier in a tweet that Dunphy sent on Good Friday. 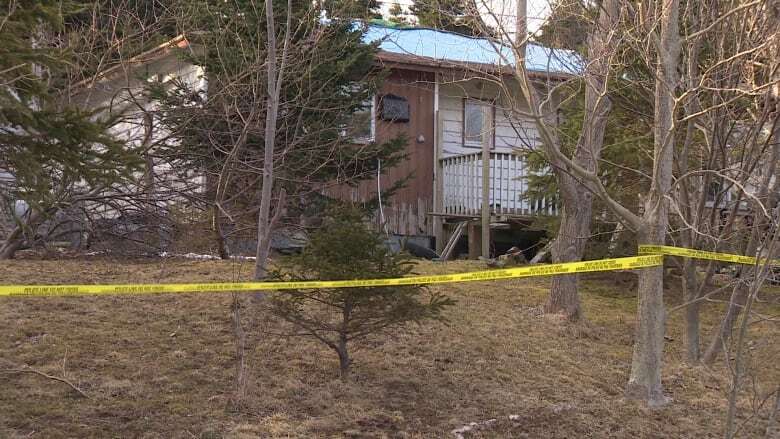 RCMP said that a 15-minute encounter in Dunphy's home escalated and ended with Dunphy being shot dead. According to the Mounties, Dunphy pointed a long-barrel firearm at the lone officer. A .22-calibre rifle was found on the floor of Dunphy's home. During a forensic investigation, it was determined the gun was loaded. Sources told CBC News Friday evening the officer has been reassigned, and would not be returning to the premier's security detail. The officer, who said it was necessary to let his colleagues know about his "sentiments on Sunday's tragedy," sent the email to all RNC staff at 7:30 a.m. on Friday, and appeared to take aim at those who have speculated about the incident. "The vocal minority engaged in social media and open line talk shows appear to want an immediate cyber-trial in a veritable town square, instead of a professional and detailed investigation involving interviews and scientific forensic analysis," the officer wrote. In the almost 900-word email, he discusses the responsibility of police officers to protect elected politicians through intelligence-led investigations, which the officer described as proactive, not reactive. He urged his co-workers to reach out to the Don Dunphys of society and help them. "For Mr. Dunphy, we were simply too late — but that doesn't mean we stop forging ahead into hopelessness, anguish and despair with the view of creating betterment, safety and wellbeing for the citizens we serve." After thanking colleagues for supporting he and his family, he wrote, "Our lives can change or end in the blink of an eye. Please seize any opportunity to help those who need it." Since Dunphy's death there have been scores of questions regarding his death and the reasons why the officer travelled to Dunphy's home alone on Easter Sunday. RCMP said the officer did a risk assessment — including running Dunphy's name through a police database and speaking with other police and people in the neighbourhood — before going to his home. Earlier this week, RCMP said retired Supreme Court justice David Riche will serve as an "independent observer" of the force's investigation into Dunphy's death. In a statement, police said Riche will have "unfettered access to all aspects of the investigation" and will provide an independent report on the thoroughness of the RCMP investigation. Following is the full text of an email that the RNC officer who shot Don Dunphy sent to his colleagues on Friday morning. It is with a heavy heart I write this message, however, I feel it necessary that you hear my sentiments on Sunday's tragedy — the death of Mr. Donald Dunphy. Firstly, please accept my sincere gratitude for the messages, handshakes, and general support you have shown my family and I. We live in a period where opinion is ubiquitous, while facts seemingly take a back seat to what is titillating. The vocal minority engaged in social media and open line talk shows appear to want an immediate cyber-trial in a veritable town square, instead of a professional and detailed investigation involving interviews and scientific forensic analysis. I have come to the conclusion however that this is where we have a responsibility, and where we must take the time to reflect on why we decided to enter the world of Policing. It is very easy for us to become frustrated at what appears to be prolific ignorance prevailing in our society (something I have had to reconcile myself); but we didn't choose to become police officers because it was easy. We are police officers, and we are the civilian police staff, because we get the unparalleled opportunity to help people. For Mr. Dunphy, we were simply too late — but that doesn't mean we stop forging ahead into hopelessness, anguish and despair with the view of creating betterment, safety and wellbeing for the citizens we serve. Our community is reeling from this terrible misfortune, and we must do what we are supposed to do in any community tragedy — we must show strength, understanding, compassion, leadership, and empathy. This is our responsibility; so there lies in this most unfortunate of circumstances an opportunity to educate and empathize. Protective Policing — is predicated on intelligence led investigations. Most will inherently view police work as something that is reactive. ie. Somebody is threatened and we respond accordingly. Intelligence based policing is proactive, and in the case of protective services, attempts to identify potential concerns and disconcerting behavior, and through a risk analysis endeavors to assign threat levels and implement corrective measures before an act of targeted violence occurs. Use the Ottawa shooting as an inverse comparison; society was quick in this case to ask where the police were in identifying red flags. Erroneous misleading statistics associated to the depth of work police carry out is difficult to explain in a media sound-bite, but people need to understand that a singular police file number does not capture what we do in its totality. Security for elected officials — is sadly a topic of public debate. Newfoundland and Labrador is an amazing place to live and work. We are however not impervious to singular acts of violence. Our elected officials make great sacrifices to carry out important work, and they suffer a level of public exposure and scrutiny like no other group I am aware of. They are charged with managing public funds and our social programs. This leads to individuals and groups who will be disgruntled, and when desperation and instability is added to the mix you will have security concerns. Our elected officials and their families deserve to live and do their work unencumbered by concerns for their safety and well being. Whether our Premier wears a blue, red or an orange stripe, their security should be as static as the desk in their office. Some will tell you that our Premier should be, or is an ordinary person; the reality however is that while they may have once been an "ordinary person" (if such a thing exists), they are now our Premier, and there is nothing ordinary about that Office. Society has eroded many of the comforts and standard amenities that should come with being an elected official — all in the name of politics. We are however the Provincial Police, and we will continue to provide a service and make recommendations that are founded in principle and good policing philosophy. A capable and professional police service requires community support and confidence for success; to achieve community support and confidence we require dedicated professionals who are well trained, proud and confident in their duties, and who can empower stakeholders to play an active role in creating safer communities. When such tragedies are at our forefront, we risk eroding that confidence. While there are many people who are and will be impacted by this, make no mistake that at the core of this matter, there is a family that no longer has a father and a brother. I sincerely appreciate the tremendous support you have shown me and my family, but we must also bear in mind that we have a community who is confused, scared, hurt and grieving. We must also help them heal. Although I cannot regret my actions last Sunday, I unequivocally wish I could have visited Mr. Dunphy at a point in his life where another level of intervention may have been possible. Our lives can change or end in the blink of an eye. Please seize any opportunity to help those who need it.